New York City: the city that never sleeps, literally. 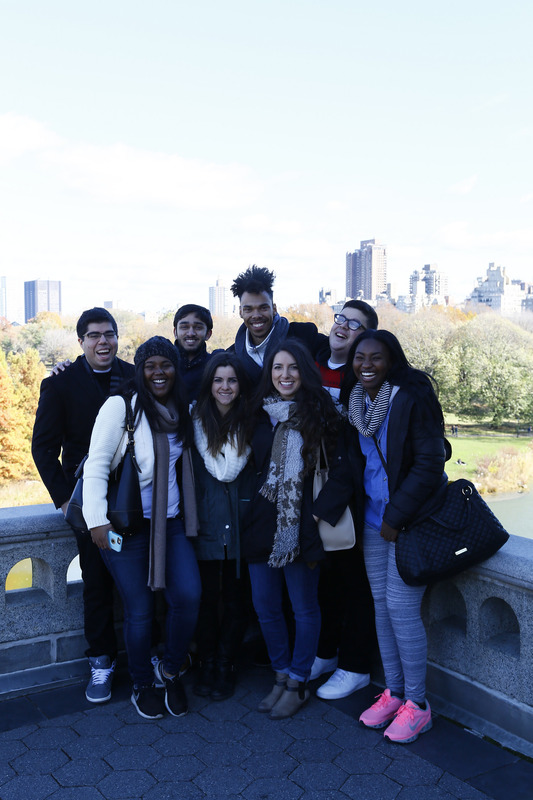 For three days, eight UW communication and journalism students experienced quintessential New York as participants of the department-funded Career Exploration Trip. 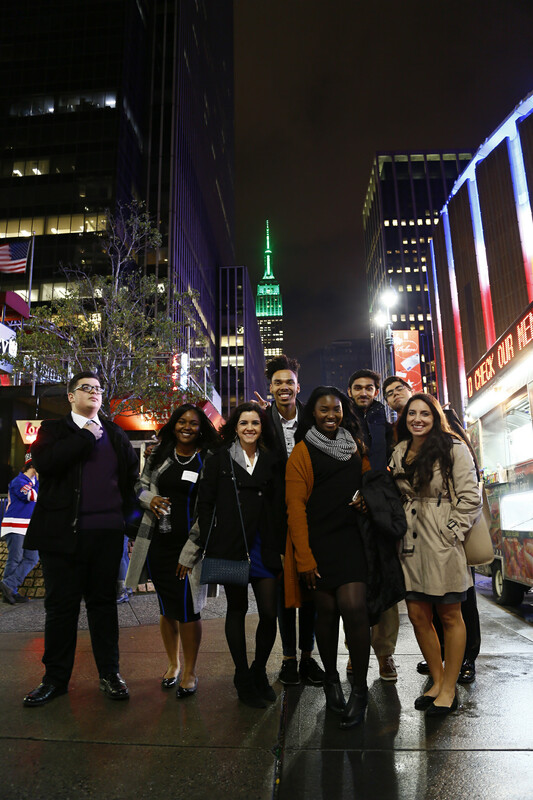 We networked with alumni pursuing communication careers, learned about the steps they took to land their first jobs, and saw a glimpse of our futures as we begin to decipher our post-collegiate plans. The trip was a whirlwind — minutes after arriving at our hotel we were whisked off to a networking event at the BMC Group to meet with alumni working at Elle magazine, Facebook, Luxottica, Ernst and Young, and the New York Mayor’s Office of Media and Entertainment. We met with folks at the Kairos Center for Religious, Rights, and Social Justice to learn about the importance of communication within the nonprofit world, chatted over lunch in the Hearst Tower with an alum working at Marie Claire, toured the Vice newsroom in the heart of Brooklyn, and learned about the behind-the-scenes process of creating an advertisement during our visit to Saatchi and Saatchi. That night, we had a taste of PR over food and drink with an alumna at real estate company Zillow. For three days, we were New Yorkers. We saw dazzling inequality — from the posh offices of the Hearst Tower to the Kairos Center’s small office committed to ending poverty. We explored Brooklyn — my grandparents’ once-poor neighborhood and now a hipster’s gentrified paradise — and saw art and culture and homelessness and pizza. So much pizza. I introduced the group to Jewish deli food and on our last day we explored a castle in Central Park. We heard street music, took way too many Snapchat stories, and enjoyed a quick break from reality. New York City is unlike anything I’ve ever experienced, and I’m excited. I’m excited to live in a hole-in-the-wall apartment, eat way too much delivery food, and pursue my dreams in the media capital of the world. I can’t wait to see what’s next as we embark on this next stage of life. Video and post by senior Nicole Einbinder. To see more photos of the trip, visit our Flickr page. Keegan Hamilton (’07), Evening and Weekend Editor, VICE News at VICE Media, Inc.